I love lipstick, but I also scared of them on the other hand. 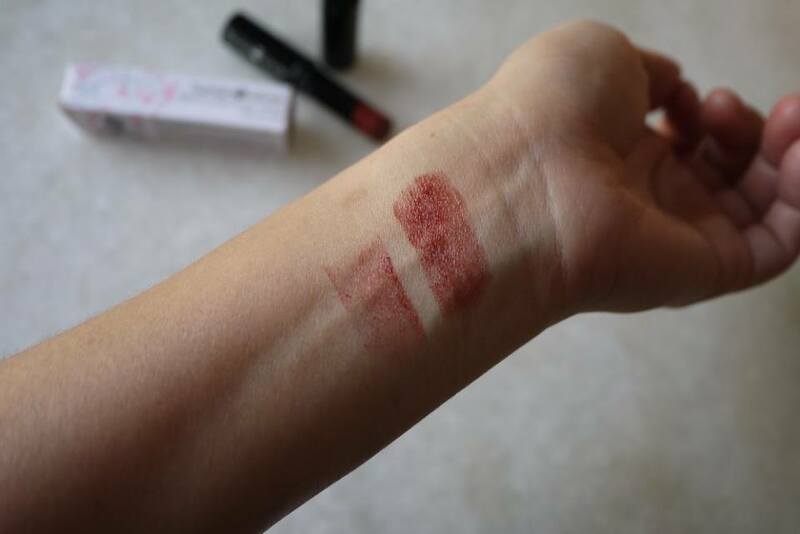 As I read from an article previously, most of the lipstick on the market contains toxic which is bad for our health. 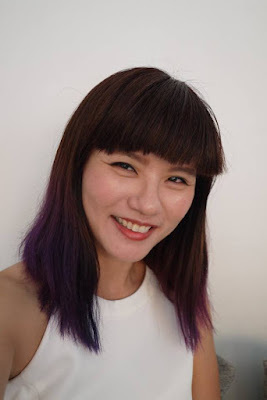 I also heard that an inordinate amount of lipstick during their lifetimes, that’s scary isn’t it? Hence I am choosy when it comes to lipstick. Best is those natural and organic ones. I found the Human Nature Mineral ColorCreme Lipstick that contains cocoa butter, sunflower seed oil, passion fruit seed oil, and natural vitamin E that melts onto your lips for an exquisite, creamy glide. 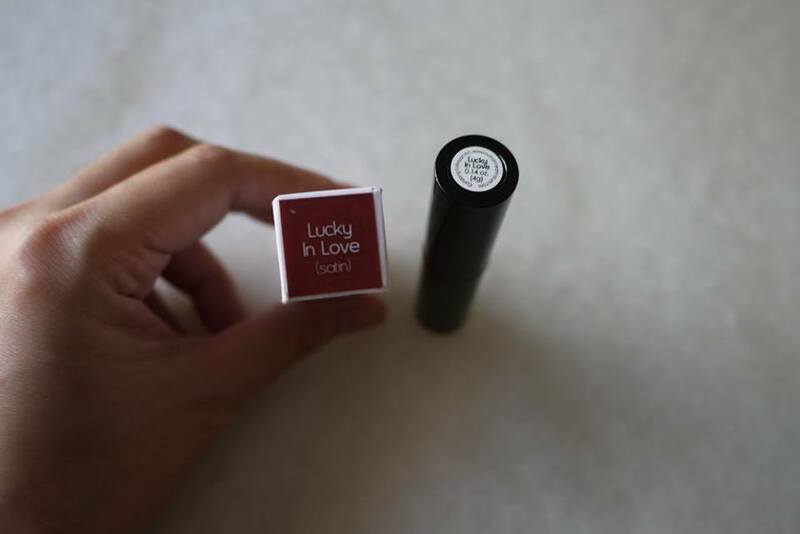 Hence I have tried out the Human Nature Mineral ColorCreme Lipstick in Lucky in Love (Satin) shade recently. 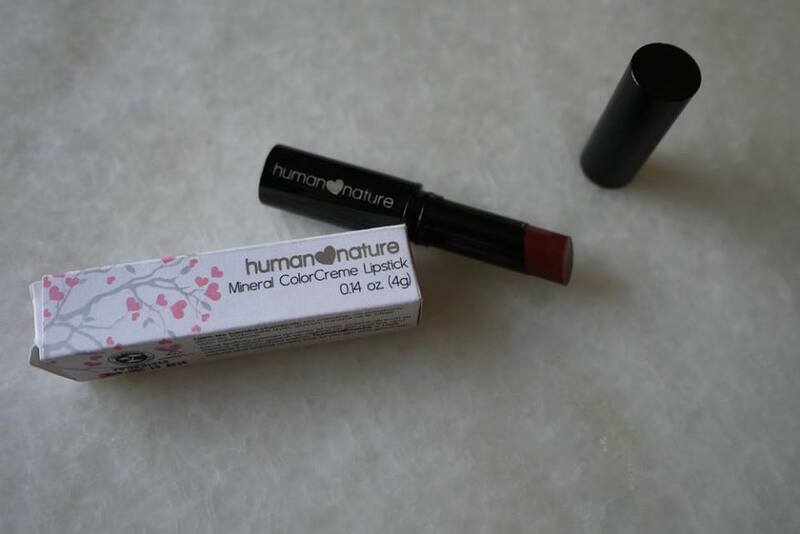 The Human Nature Mineral ColorCreme Lipstick is rich and moisturize, it is very creamy in texture. However it takes a bit time to glide through and apply evenly on my slightly dry lips. I like its nice color payoff with the classy black packaging. 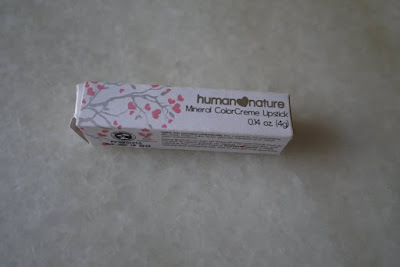 Human Nature Mineral ColorCreme Lipstick 4g is selling at only RM 42.90 at http://humanheartnature.com/my/index.php/mineral-make-up/mineral-colorcreme-lipstick.html There are 6 lovely shades to choose from.